The Argentine government made another attempt to resolve the conflict over its debt on August 20, when President Cristina Fernandez launched a legislative proposal to make Buenos Aires the place of payment for creditors and in this way, get out from under U.S. legislation that has trapped the country in a financial-judicial labyrinth. Now the government’s problem is internal: the opposition refuses to approve the law in Congress. If the bill is approved, the Ministry of the Economy could be relieved of the contract with the Bank of New York, the financial institution in charge of part of the payment of the restructured bonds. A ruling from a U.S. court mid-June by New York judge Thomas Griesa in favor of the “vulture” investment funds granted them legal justification to demand payment in cash of the total face value of the bonds, plus interest, bought after the Argentinean default of 2001. Griesa blocked Argentina’s partial payment of the debt, insisting on full value to the funds that purchased the debt after Argentina’s crisis at a huge discount. The project sent to the parliament sets forth three points: a change in the payment agent, the possibility of modifying the bonds through U.S. local legislation and deposit of the money to the vulture funds in the same conditions agreed on with the majority of the creditors in the swaps of 2005 and 2010. In this case, it is not a matter of compensating workers who saved a little money to invest and have a more comfortable retirement, but rather of paying off giant investment banks that use money to buy up debts at ridiculous prices from countries that fell into bankruptcy, to later attempt to obtain astronomical profits through litigation. The vulture funds that did not accept the swap proposed by the national government in 2005 and 2010 make up about 1% of the total bondholders. Griesa’s not only grants them face value, it also states that the debt should be canceled with 300% interest. This would place Argentina’s debt at $1.5 billion dollars. The previous plan restructured 92.4% of the total debt with bondholders, while the rest was not litigated. The principal vulture funds taking action against Argentina are Elliot Fund-NML Capital, Olifant and Aurelius, among others. In the case of NML Capital, for example, the profits—thanks to Griesa’s judgment—would be 1,600 percent. The day after the U.S. court’s decision, Argentinean President Cristina Fernandez de Kirchner established her country’s position. “This opinion is contrary not only to Argentina’s interests, but also to the 92% of the creditors who believed in the country and its debt restructuring, and it also goes against the functioning of the global economic and financial system,” she stated during a national network transmission that lasted almost half an hour. This ruling could precipitate more judicial action from two fronts that were considered closed. The RUFO (Rights Upon Future Orders) clause establishes that, as a guarantee, there will not be better conditions than the bond agreements of 2005 and 2010 and that, if there are, the country would make up the difference. This is one of the points that the Minister of Economy, Axel Kicillof, has been trying to deactivate through negotiation in the United States. If U.S. courts now give free rein to the remaining 7% of bondholders who neither entered the swap nor litigation, the total amount to pay would reach 15 billion dollars. That’s a little more than half the reserves of the Central Bank of Argentina (29 billion). But if the RUFO clause is considered violated, the amount would reach an astronomical sum—the exact figure isn’t clear, but specialists calculate that it would be from 120 to 300 billion dollars. The latest initiative still leaves the feared RUFO clauses in effect until Dec. 31, 2014. The Minister of Economy Kicillof considered the decision of the New York magistrate to be an attempt to undermine the willingness to pay as demonstrated by the Kirchner-Kirchner administrations from 2003 to date without the participation of international institutions. “As Minister of Economy, I need to state that my interpretation of the ruling is that it seeks to tear down the debt restructuring that Argentina achieved without the intervention of international finance bodies or conditions on the economic policy of the national government,” stated Kicillof. He recalled that in 2010 the adherence was “almost total, about 93 percent of the creditors.” The Argentine government now has to find a way to comply with Griesa’s ruling and get rid of the vultures. In spite of threatening several times to ignore the judicial ruling, the country will pay, but will attempt to close the issue once and for all. 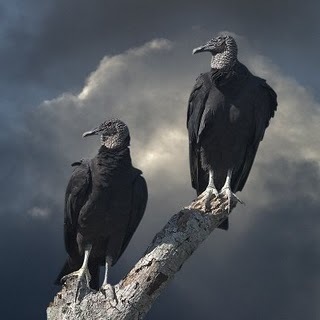 For now, the shadow of the vultures continues to cast a pall over the country. Is it necessary to pay? What happens if the country can’t cancel the debts? The questions filtered into Argentines’ conversations as soon as they stopped celebrating the World Cup. If Argentina ignores the Griesa ruling, it would not enter into default directly. But technically, it would, because in this case the judge could seize the payments of the bondholders from 2005 and 2010, which are those that entered into the previous swaps. Not paying these bonds would lead to a cessation of payments. Remember that in late June, Argentina deposited the payment to the bondholders, but the New York judge stopped the payment and ordered the Bank of New York to return the money to Buenos Aires, obstructing the payment to the bondholders and adding pressure on Argentina in the negotiation. In this context, Argentina’s bind could leave a disturbing precedent for other countries that have to negotiate with rapacious vulture funds. Diplomats from around the region pointed this out at an emergency meeting of the Organization of American States (OAS), called to address Argentina’s situation. “It’s a problem that affects us all because this decision by a U.S. judge creates an extremely dangerous precedent that can lead to future problems not only for Argentina, but for any country that tries to pay its debt like Argentina did,” warned the Brazilian ambassador to the OAS, Breno de Souza. The legal setback came in the middle of the most complex situation that Argentina has experienced since the recovery of 2003. Added to uncontrollable inflation at the beginning of the year, a devaluation of 25 percent occurred at the end of last January. After several months of fighting against the dollar, the micro devaluations of the peso materialized in a laundering of the U.S. currency appreciation. The dollar containment plan made off with a big piece of the Argentine treasury. The country is also going through a period of reduction in economic production, caused in part by the slowdown in the international market. The problem, many specialists agree, is not the legality of the maneuver, but rather the nature of the system that permits it. The restructuring of debt proposed by the Argentinean government in 2005 and 2010 aimed to put an end to the historical indebtedness of the country, after the bankruptcy of 2001. Recent history indicates that the public debt was kicked off by the boots of the Argentine generals, under the technical supervision of the de facto Minister of Economy José Martinez de Hoz. The external debt had its historical genesis in the period directly after the military dictatorship. (3) But it was the government official of the Domingo Cavallo dictatorship who nationalized private debt in 1981. That year Cavallo implemented an exchange rate insurance by means of which local private debtors received a repayment of their debt abroad. That is, the nation took over their debts. By 1983, when Argentines regained the possibility of freely electing their politicians, foreign debt had risen from $8 billion dollars—the average in the 1970s—to $45 billion, which the democratic government of Raúl Alfonsín had to confront. The debt continued to be an enormous burden for the growth of the national economy. In 1993, officials of the Carlos Menem administration launched the Washington-devised Brady Plan, presenting it as the “great solution.” Under this program, debt on old loans from commercial banks would be swapped for new 30-year Brady bonds, with some reductions in capital and interest rates. This only deepened the problem. The negative numbers kept growing. At the end of 2000, Fernando De la Rua’s government closed a negotiation with the IMF to obtain additional funding flows that would guarantee payment of obligations. “This way we regain confidence” was the spirit of the “armor,” as this negotiation was named. However, hiding beneath this maneuver was an operation to finance massive capital flight before the inevitable devaluation. From 1990 until 1993, the debt increased 10.7% (at an average of 3.4% cumulative annual), and between 1993 and 2001 it rose 126.6%, an average annual rate of 10.8%. In concrete terms, seventy percent of the debt that the vultures bought at bargain-basement prices originates from the “armor” and the “mega swap”, fabricated during the government of the Alliance. The thirty percent remaining comes from the convertibility, given that the fiction of one peso 1 to 1 involved taking on debt given the impossibility of increasing the entry of trade dollars. Nestor Kirchner was faced with this scenario when he assumed power in 2003. To get off the treadmill of indebtedness and to gain autonomy, his administration made it a top priority to settle the public debt. The motor for the restructuring of the debt was that Argentina would pay tailored to its growth. Kirchner successfully launched the bond swap of 2005 and 2010, accepted by 92.4 percent of the creditors. Now, the 1% in the hands of the vultures endangers the success of the initiative. Emiliano Gullo ([email protected]) is a journalist in Buenos Aires and analyst for Program of the Americas. 2) Matías Kulfas y Martín Schorr. La deuda externa argentina. Diagnóstico lineamientos propositivos para su reestructuración.